Essential Driving Training... What's the craic with that? Many pupils come to us with a very vague understanding on how the EDT works. You're probably feeling the same way so lets look at the EDT in a little more detail. 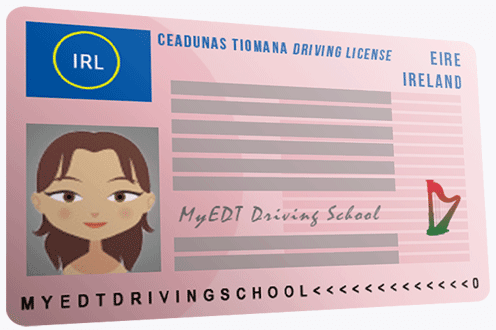 The EDT is a driving lesson course consisting of 12 lessons. You know at least that much at this stage but how does it work? When you start your EDT you are issued with a logbook which is solely yours for the entire program. It is very important that you don't lose this logbook. Inside are a series of pages laid out in order of EDT lesson. For each lesson there is the EDT cert itself which is stamped and an instructor copy which is removed, an ADI feedback page and a self analysis page. Each lesson that is completed is stamped by your driving instructor. Only a fully qualified ADI can train you for the EDT and stamp each cert. After each EDT lesson your driving instructor logs in to his own Instructor portal on the RSA website and uploads your completed lesson cert. You may not be aware of this but you can change instructor at any time and your new instructor would carry on with your EDT lessons from where you left off. It is worth noting however that your previous instructor must sign the logbook over to your new instructor before they can upload your future lessons. For that reason it is important to try and keep hold of your previous instructors contact details so arrangements can be made. After each EDT lesson your instructor leaves feedback comments in your logbook. It is crucial that where possible you get the best feedback you can because this book must be brought with you on the test for the driving tester to review. 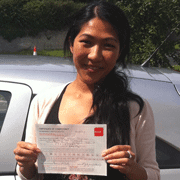 If you have negative comments it may not shine you in the best light for your driving test. There is also the self analysis page. This is an opportunity for you to give yourself feedback on how you feel you are progressing and is a very beneficial strategy for reflecting on and absorbing the content of the previous EDT lesson. Try to put as much thought and effort into your own self analysis as you can. You'll be surprised how much it can accelerate and enhance your learning. Learning to drive is a process. This process has been proven to be most successful when a learner shares the benefit of professional tuition from an Approved Driving Instructor and extra supervised practice with a designated sponsor. The sponsor is most often a parent or relative but may also be a friend or even your driving instructor. The sponsor should take this job seriously and try to work closely with your driving instructor to ensure that you get the right practice in between your essential driver training lessons. It is recommended that you get 2-3 hour practice with your sponsor between EDT lessons. Obviously if you can do this with your sponsor it means you will progress faster. If you get practice with a sponsor and make faster progress, it potentially means less paid lessons with your instructor. So get that practice in! 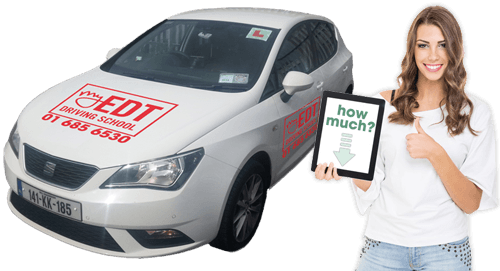 You will of course have to pay for the 12 EDT lessons to get your 12 EDT certificates but get the necessary practice with your sponsor and with some pretest driving lessons designed to get you used to the test environment itself, you will pass with relative ease. You can visit the RSA website at anytime to see which of your EDT certificates have been uploaded. Once all 12 have been uploaded onto the system you can apply for your driving test. The instructor leaves feedback and criticism on the instructor feedback page which the driving tester will see. You have a self analysis page to use as a tool to reflect and absorb what you have learned. You can change instructors at anytime but the EDT logbook must stay with you and be signed over from your previous instructor to the new one. 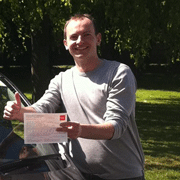 Once your instructor has uploaded all 12 EDT certificates to the RSA website you can apply for your driving test. That is the EDT in a nutshell. It's nothing to be afraid so why not take that first step and call us now to book your first EDT driving lesson.